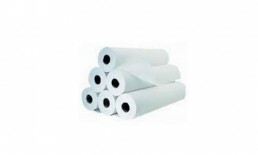 Baby Point Pro-Tect changing table liners are unique in providing the safety and hygiene of a plasticised liner with the ongoing economy of a roll dispenser. 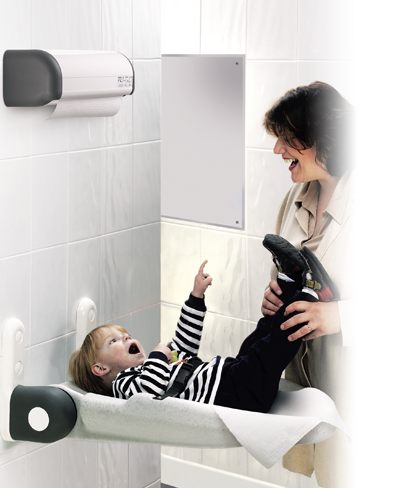 Pro-Tect changing table liners are specially designed for baby changing areas in the public environment. The liner material is a combination of white tissue paper bonded to a Polythene foil to give the ideal balance between water resistance for hygiene (minimising cross contamination risks) with the comfort of a conventional tissue surface for the baby. This material should not be confused with a 2 ply paper product. Supplied in a box of 6 “50 meters rolls” yielding approximately 130 liners each (PL/2). All components are shaped to be easily cleaned and are impervious to proprietary cleaners and sanitisers. All materials are fully compliant with the EN71 part 3 Toxicity regulations.